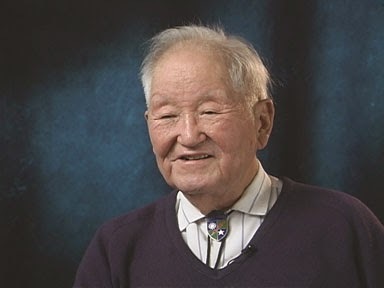 In 2003, Densho interviewed the 90-year-old Roy Matsumoto who recounted his incredible story of fighting in the jungles of Burma with Merrill's Marauders against the Japanese. Roy saved his unit with heroic actions and he was later inducted in the U.S. Army Ranger Hall of Fame. We are sorry to report that Roy passed away on April 21st at the age of 100. This clip comes from Roy's 2003 interview where he describes a mission to hold Nhpum Ga hill in Burma, in which he shouted military orders in Japanese to confuse the attacking Japanese soldiers. Roy's full interview is available in the Densho Digital Archive.